Florida power metal act SEVEN KINGDOMS have unveiled the track listing and cover art for their forthcoming Full Length album "Decennium." This 10-Year-Anniversary Album follows up the successfully crowdfunded "In The Walls" EP, and will feature the two new songs from the EP along with 8 brand new tracks. The Crowdfunding Campaign for "Decennium" will start on Dec. 9 and run until the middle of January. Decennium is to be released at the end of January 2017. The CD pressing will be limited to 1,000 copies with the Double Vinyl LP limited to 250. Each album and vinyl will be hand numbered, signed and feature the 'Edition 1' labeling on the back, and a holographic 'Edition 1' for 'Total Package' and '+' Backers. There will be no digital downloads available for this album until later in 2017. Dusan Markovic created the amazing artwork for Decennium. The Vinyl edition will be a triple gatefold with an included poster of the full cover and extra art inside. Fans will be able to order their copies of the Album, Vinyl, and other supporting merchandise via Decennium's Kickstarter Campaign when it launches on Dec. 9. Perks start shipping in late January / February 2017. "Decennium" was recorded with Jim Morris (Iced Earth, Savatage, Death) and Phil Pluskota (Abiotic, King Conquer) at North Avenue Studios and Morrisound Recording. 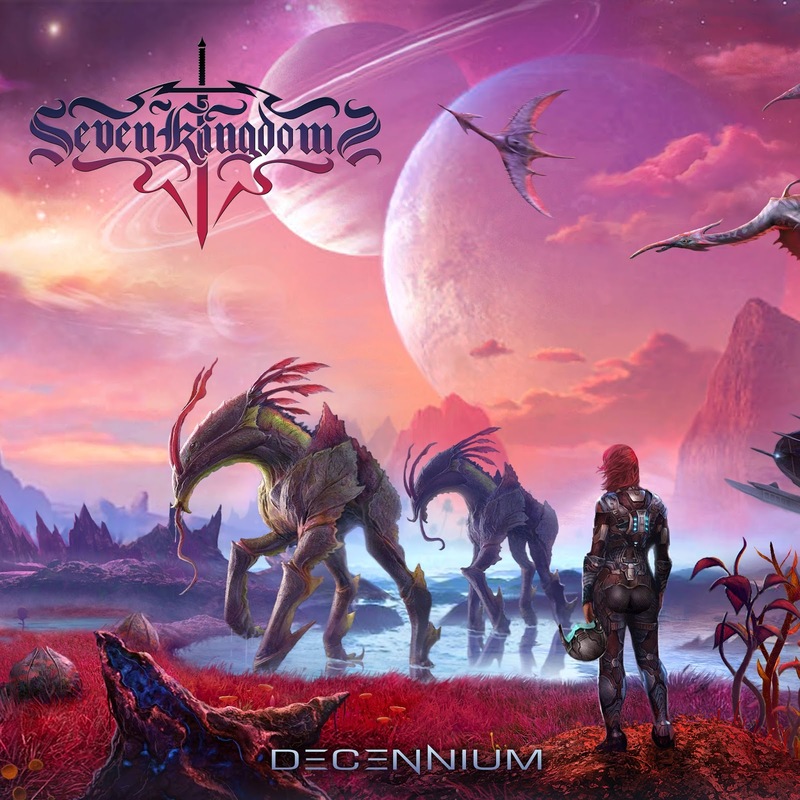 SEVEN KINGDOMS mixed the album at Morrisound Recording and was mastered by Jacob Hansen (Avantasia, Evergrey, Volbeat). SEVEN KINGDOMS guitarist Camden Cruz said, "We are finally here! We are very excited to get this Campaign started and to begin getting the whole thing out for everyone all over the world to enjoy! We are very, very happy with the album. This is undeniably the best product the band has put fourth yet. If you liked the In The Walls EP, you will only be even happier with Decennium. We will have a slew of new stuff available on the Crowdfunding Campaign and hope that all of you will join us in celebrating the 10-Year-Anniversary of the band in 2017." SEVEN KINGDOMS will embark on full length North American tour with Evergrey, Need and Ascendia in May and June 2017 to support the new album.